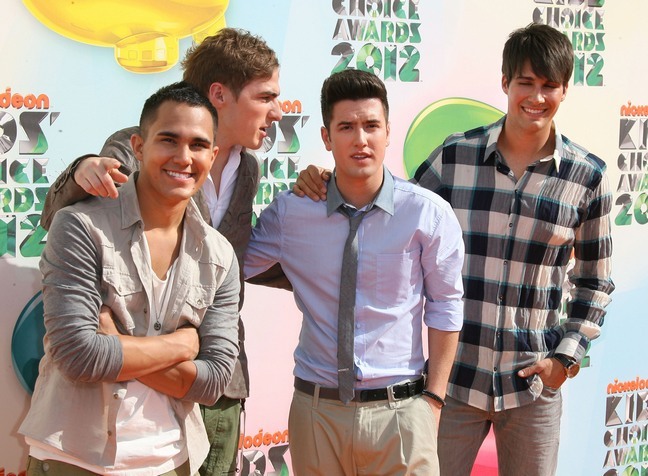 Celebrities of all ages hit the orange carpet for Nickelodeon’s Kids’ Choice Awards this weekend! See photos of Kristen Stewart, Heidi Klum, Jennie Garth, and more! Law & Order: SVU star Christopher Meloni and his daughter Sophia, 12. Heidi Klum headed out solo. ‘Mike & Molly’ star Holly Robinson Peete and her crew! ‘Snow White and the Huntsman‘ star Kristen Stewart. Do you think she wore blue as a nod to Snow White’s blue and white dress? Rocker Travis Barker and his kids, Landon and Alabama.